Welcome to book club everyone! We are thrilled to see many voracious readers returning from last year and some eager new members joining us! 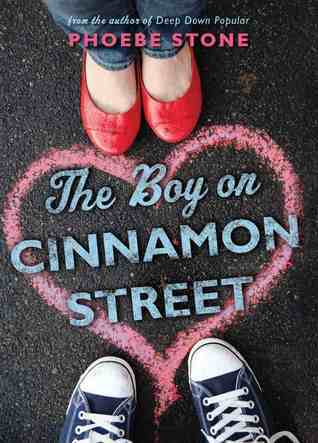 Our first book for the 2013/2014 school year is The Boy on Cinnamon Street by Phoebe Stone. Prepare to meet some wonderfully quirky characters. Appreciate just how great grandparents can be. Be moved by Louise’s sadness and her journey to face her feelings. This book is touching, full of the complexity of friendship dynamics and absolutely beautifully written. So excited to begin reading this novel with all of you! In case you forgot – we will meet next week to discuss the beginning of the book (the first 5 chapters). Can anyone join this book club? Do you discuss on line? We discuss in person at our school meetings but also discuss and comment on line. We are reading up to chapter six for next week’s mid week meeting. We would love you to join us via this forum and comment on anything that spoke to you or that you are wondering about in the first 5 chapters! It’s a really special little book 🙂 The students in our group are in Grades 4-7 and very keen readers. Ms Gelson… This book has left me BREATHLESS I Just finished it and… I Hate to Admit it but… I Cried. I Got all Sappy and I Think This Could Be My Number One Favourite Bookclub book. Ms. Gelson For Choosing this and all other books, You Are My Idol. I feel so lucky Jena to still be part of your reading life even though I am no longer your classroom teacher. Thanks for the comment and for sharing your feelings! Hello Book Club! We agreed to read up to Chapter 13 for next week. I know many of you have not been able to resist reading the whole book. It is THAT good. But just peek again at those chapters so we don’t address plot points beyond that chapter to respect those that are reading along at the weekly pace. Thank you for giving me permission to share (with no names attached) your answers to one of the questions we shared last week: What would it be like if you lived with just your grandparents? I Can’t Stop Thinking About This Book!!! I’ll Just Keep Thinking about it non stop…. CAN’T WAIT FOR BOOKCLUB!! And . . . Jena I have a surprise for you! But because I have too many surprises – I will give you a HUGE hint! It just might be a note from the author and . . . she just might mention your comment! So pleased you are enjoying the story! And be calm. 🙂 Book club members are very good at keeping secrets! umm the time is wrong…can you fix it? I just adjusted the time in the general settings – it should work properly from now on! We will be anxiously awaiting your author updates Alyson! Ohhhh….I haven’t read up to Chapter 13 yet….I’m going to bed now to read!!! Can’t wait to get to Book Club tomorrow! Heather is coming too!!! Yippee! And I have a small surprise for us all. A little book of magic, yes. Books are some kind of wonderful and sometimes I read a certain book and it jumps out at me as PERFECT for book club! I am thrilled you love this title so much and that you have gone on to read another title by the same author! I would also like to read Romeo Blue! Lisa The plan was to read up to Chapter 21 for this week. See you in a few days where we will discuss up to Chapter 21! How we loved this title! What came through loud in clear in our final discussion was how so many details were wrapped up at the end of this book. Many of us confessed being teary. Many of us think Henderson is some kind of wonderful! And we loved the writing. Many students want to read another Phoebe Stone title.